How to Prepare For Your Cruise Job Interviews! As a job seeker you'll want to read this interview with a senior manager at Crown Recruitment. She is the UK agent for Royal Caribbean, Celebrity, and Azamara, and pre-screens all candidates and arranges interviews for the Miami HR team. 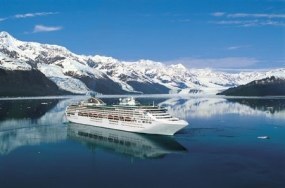 We recruit for the hotel department to the cruise programs department. What advice would you give people to help them prepare for interviews? Make sure your CV is accurate and be natural when you go for your interview. Once you have a good CV to look at, the rest comes easily. Another thing is that you should be well presented and ready for all the possible questions you may be asked. Prescreen Skype interview followed by a face to face. The Skype interview usually happens quite quickly but you can wait up to 3 months for the recruitment team to conduct the face to face. It takes about 3 months. Little - they are then in the hands of the schedulers and line managers, but they do contact me often to say what a great time they are having, and I encourage this. Most people are pretty realistic about it, I have found. I suppose the most common thing is that a lot apply but don't actually have the funds to go, such as medical (£300) visa and the money you will need for your first flight, so you should make sure you have this sorted out before you apply for any cruise line job.